Kaisercraft-Die. These Steel Dies Will Cut Through Cardstock, Thin Chipboard, Felt, Acetate, Sticky Back Canvas, Sandpaper, Foam And Much More! They Work With Virtually Any Die-Cutting Machine That Will Accommodate Wafer-Thin Dies And Are Sure To Become An Essential Ingredient In Your Paper Crafting Process. 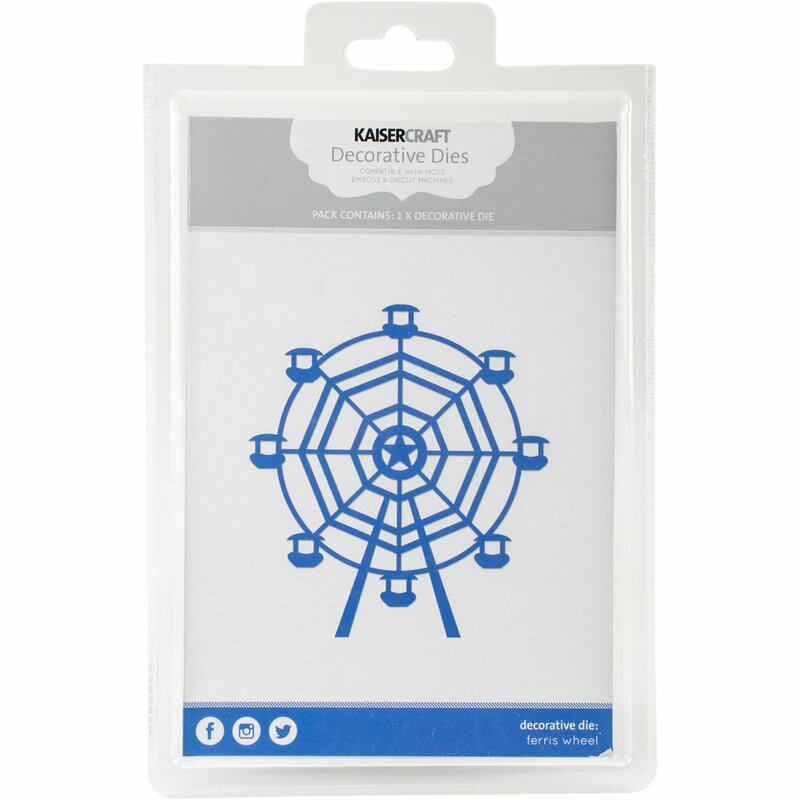 This Package Contains Ferris Wheel: One 4-1/8X3-3/4 Inch Die. Imported.